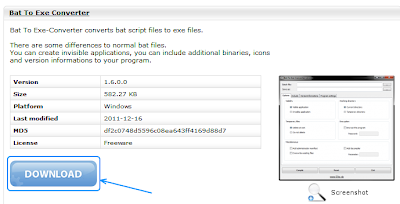 There are some differences between normal Bat file and Exe file. Bat files are batch scripts that can be compiled with any Text editor (notepad) and it's not customizable, however Exe files are fully customizable since you can change icon, add additional binaries and make it invisible. 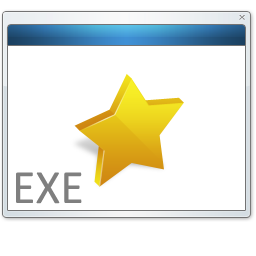 To convert a Bat file into Exe file is very easy, just follow this tutorial and you'll be able to convert them with simple clicks. 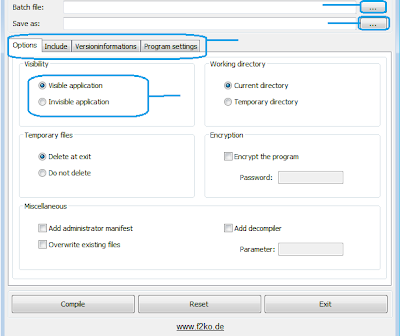 4) Click the first browsing button "..." and select the Batch (.bat) file. 5) Click the second browsing button "..." and select where to save your Exe file. Done! Now run your converted Exe file. zidaxxx wrote: This is really nice!